We’d love your help. Let us know what’s wrong with this preview of Flossopher and the Brushing Trees by Mike King. To ask other readers questions about Flossopher and the Brushing Trees, please sign up. The first thing that grabbed my attention was the beautiful, bold, and bright colors throughout the book. The illustrations are captivating and keep children engaged and interested in the story that is being told. Flossopher and The Brushing Trees is a cute story that teaches kids the importance of keeping their teeth clean and healthy while also engaging them in a cute story that will keep their attention. I loved the addition of the interactive game that has children search through the book to The first thing that grabbed my attention was the beautiful, bold, and bright colors throughout the book. The illustrations are captivating and keep children engaged and interested in the story that is being told. I loved the addition of the interactive game that has children search through the book to find the hidden"tooth-care kits". Yet, my favorite part about this entire book is that part of the profits from every sale will be donated to Smile Train to help provide dental needs to children who need it. 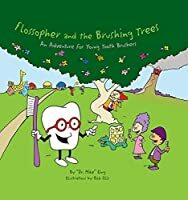 MY REVIEW: Flossopher and the Brushing Trees was a fun book to illustrate to the children in my Art Through Stories class how to take care of their teeth in a fun and adventurous way. 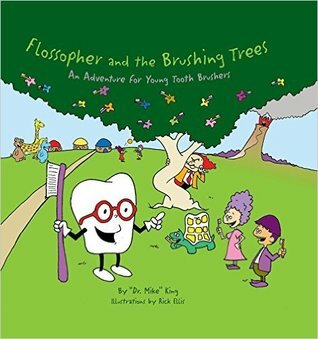 NOTE: In addition to being a blogger, wife, mother and cycling instructor, MY REVIEW: Flossopher and the Brushing Trees was a fun book to illustrate to the children in my Art Through Stories class how to take care of their teeth in a fun and adventurous way. NOTE: In addition to being a blogger, wife, mother and cycling instructor, I am also a teacher for children ages 2-5 years old at the Y where I have developed a class entitled Art Through Stories. I designed this class to introduce the children I teach to books and then using those books to create art projects. I try to help them creatively capture the beauty, lessons, concepts and other learning points within the books through the expression of art. I do this by using various art mediums. The art projects also act a tool to help retell the stories to their loved ones.